Reckitt Benckiser is a fantastic company. Every day it sells millions of pounds worth of products like Dettol, French’s Mustard and Nurofen to customers worldwide. 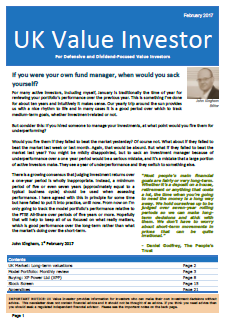 In financial terms it has a perfect record of consistent dividend and earnings growth over the last decade – so why would I want to sell it? The answer certainly isn’t because the shares have done badly. I made the decision to add Reckitt Benckiser to my own portfolio and the UK Value Investor Model Portfolio back in April 2011, exactly two years ago. At the time they were selling for £32.82. Since then the shares have paid out dividends of £2.59 each. The share price has also appreciated significantly, reaching £46.28 on the day that I sold. Total returns from this two year investment were 47.2%. That’s 7.9% from dividends and 39.3% from capital gains. In annualised terms that’s 20.8% a year, which is well clear of my target return of 15% a year. I buy shares after working through both a quantitative and qualitative analysis. 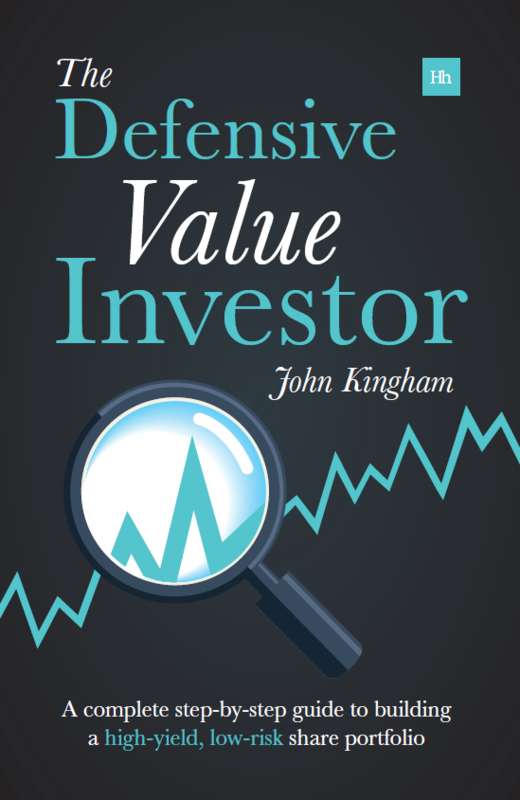 The first step is to look at how the shares rank on the UK Value Investor Stock Screen. This screen ranks shares on two key factors – The quality of the underlying business and the value for money that the shares represent at their current price. Taking the quality aspect first, Reckitt Benckiser really is hard to beat. When the shares were bought in 2011, the company had increased revenue per share in every year of the previous decade. It had also increased earnings in every one of those years – and it had also increased the dividend in every single year. That’ a 100% record of consistent growth in sales, profits and dividends. If you’re looking for companies that can grow earnings and dividends consistently in the future, then looking for a proven track record is a sensible place to start. You can see Reckitt Benckiser’s financial results in the chart below. Dividends – In the two years that Reckitt Benckiser has been in the Model Portfolio, dividends worth 259p have been paid or become due. This is a return of around 7.9% on the original investment. Growth – By growth I mean growth of the company. If a company is able to sell more stuff to more people at higher prices each year, and in the process generate more profits, cash and dividends each year, then shareholders gain as they each own a fixed fraction of that growing company. There are various ways of measuring a company’s growth, none of which are totally accurate. My preference is to look at the growth of the company’s average earnings per share over the last decade. Using average earnings helps to smooth out the yearly ups and downs which most companies suffer from. This in turn creates a more stable estimate of ‘value’, whereas looking at just the latest earnings might lead you to assume that a 10% fall in profits this year should result in a 10% drop in the value of the business. In most cases, it shouldn’t. In Reckitt Benckiser’s case, the average earnings were 122.5p when I bought the shares. Today that number stands at 163.4p. That’s an increase of 33.4% in the company’s historic average earnings in just two years. Although that’s probably overstating the true level of growth somewhat, the company has definitely grown by a considerable, double digit amount in that time. So by buying a high quality dividend paying company, the return was 7.9% from dividends, and 33.4% from the growth of the business. In April 2011, at £32.82, the dividend yield was 3.5% and the price to earnings ratio was 17. Neither of these is especially attractive, but that’s because PE ratios and dividend yields are overly simple ways of valuing shares. The approach I use looks at cyclically adjusted earnings, dividends, growth and consistency, in order to get a far more detailed picture of what a company is worth, rather than just looking at the most recent earnings or dividend numbers. Even though by conventional measures Reckitt Benckiser’s shares looked somewhat expensive at £32.82, when long-term earnings, dividends, growth and consistency were taken into account, they didn’t. And that view seems to have been right. With the price at £46.28 in April 2013, the value of the shares had increased faster than the value of the company. Even though value of the company (according to its average earnings) had grown by 33.4%, the shares had gone up by an additional 5.9%. This additional 5.9% return is the boost that you can get from buying companies at low valuations. If you give Mr Market enough time his mood will often improve, and he will happily pay a higher price to earnings ratio than you did. The past – I always look back over the company’s past, to make sure the company has a stable and competitive history within its industry. The present – I also like to look at the present situation, to make sure the company isn’t facing any significant threats to its ability to make profits in the future (after all, the shares are cheap so there is often bad news surrounding these investments. However, you have to separate significant bad news from minor bad news). The future – Finally, I like to think about the future, and whether there is any major risk that the company’s industry or core products and services could become obsolete in the next decade. Reckitt Benckiser sailed through all these tests, and that’s why I bought at £32.82. So in summary, Reckitt Benckiser is a high quality company, capable of consistently high earnings and dividend growth. In 2 years, the UK Value Investor Model Portfolio received a dividend return of 7.9%, capital gains from the growth of the company of 33.4%, and an additional capital gain of 5.9% as the shares were re-rated upwards. Reckitt Benckiser is still a fantastic company. It is still exactly the sort of company that belongs in the Model Portfolio, and it’s still exactly the sort of company that defensive and income focused investors like to own. However, the quality and value of the company is only one side of the investment equation. The other side is price, and how much cash you need to part with to buy the company, how much you can get if you sell, and what else you could buy with that cash instead. At its current level, Reckitt Benckiser is it one of the least attractively valued stocks in the Model Portfolio, when quality, growth, value for money and dividend yield are taken into account. Just as importantly, the UK Value Investor Stock Screen tells me there are shares in other high quality, dividend paying companies that are more attractively valued. This doesn’t mean Reckitt Benckiser is a ‘sell’. I don’t think that kind of blanket labelling is of much use. What matters is how one company’s shares compare to the others that you already own, and what else is out there in the market. In Reckitt Benckiser’s case, it is still quite attractively valued, and is much more attractive than the average company, with a Stock Screen rank of just 37 out of over 160 companies. If your portfolio is full of average companies at average prices, then Reckitt Benckiser could be the best thing that you own, in which case you might be better off selling something else. But to beat the market you have to focus on owning shares with the lowest valuations and highest yields from the best companies, and for me, at £46.28 Reckitt Benckiser’s shares no longer meet all those criteria. Nice article but surprised you have decided to sell. For my money, RB is one of the strongest and most resilient FTSE 100 company – as you say, it has quality written all over it. It is one of the cornerstones of my income portfolio and will be held through thick and thin for many years. Just as a matter of interest, I was wondering whether you have earmarked a better company to reinvest the proceeds of sale? I think holding RB will work out to be a good idea, but buy-and-hold isn’t my style. I’m not happy for my money to be invested at high valuations (even though RB isn’t high relative to the whole market, it is high relative to my Model Portfolio). High valuations can spell low returns and high downside risk. Not always of course, but the potential is there if some bad news spooks the market. As for an alternative, there are a few higher ranking stocks on the UKVI sreen. They probably aren’t as good as RB in terms of the actual companies, but the stock valuations are much better and that can be just as important to medium term returns (i.e. somewhere around 5 years). I looked at RB at a similar time to when you bought but decided not to invest. Appears I could have misjudged the company as I didn’t foresee such a large earnings increase. They are definitely a strong company, but if I remember rightly they had an upcoming patent expiry on a drug that made up a large component of their sales. The risk of generic competition entering the market and putting a dent in their profits was enough for me to pass on this, but I’m curious what happened with that? Have they managed to get a new patent or is there simply no generic competition that has entered? I think you’re talking about Suboxone? The patent ran out in 2010 in the US I think, and generics are expected to make an impact in 2013, but it certainly doesn’t appear to have done much damage to the company or the share price yet. Off-hand I can’t remember what percentage Suboxone was of profits, and they also have a ‘film’ version (the patent was on the tablets) that they’re trying to move people onto. Also they have allegedly said the tablets aren’t ‘safe’ as children may swallow them, thereby raising costs for generics (i.e. generics have to put the tablets into expensive child-safe bottles, thus raising prices and reducing the difference to RB’s better ‘film’ variant). As usual, it’s a mass of various factors that I tend to ignore because it’s all so hard to predict. The short story is that RB has a broad range of very strong products with competitive advantages and it’s probably going to stay that way for a while. If the share price drops 20% or more I would probably end up buying it again at some point. I think all of these sorts of shares (Unilever, Diageo, RB) look expensive at the moment. That said I’m not sure I’d sell mine if I were running a portfolio like yours, and I don’t think 39/160 is really that far down the list of potential candidates? Hi M, some good points there. Agreed that Unilever, Diageo, Rolls Royce etc look expensive. 39th out of 160 is actually quite attractive, so I could quite easily hold and do nothing, or sell something else (as there are other, lower ranking stocks in the portfolio). But my preference is to stick with a pre-determined plan, rather than making it up based on what I ‘think’ will happen, because I know that what investors tend to ‘think’ will happen, doesn’t. The fact that it’s only 39th is more of a historic quirk, in that the Model Portfolio is just 2 years old, and so the stocks in it haven’t had much time to change, in terms of valuation. Over time I expect that to change, and I’ll hold stocks that have a broader range of valuations, whereas at the moment they are almost all in the top 30. Those stocks that have changed their valuations more rapidly, like N Brown or UK Mail, and to a lesser extent RB, have all been sold and the paper capital gains turned into cash to reinvest. 2. Not having more than 2 (out of 30) stocks in any one FTSE 350 sector. Again, because the stocks are quite bunched up at the moment I’m breaking rule number 2 with Support Services companies (3 companies including MITIE and Interserve), and may do so again with another sector, but the basic idea is enforced diversification, so I end up holding things like RB which is very defensive, and Rio Tinto which is cyclical. The idea is that they have very different business and news cycles, so they’re correlated, which as I’m sure you know from MPT, is good for rebalancing (which is effectively what I’m doing by selling RB). And I’m always happy to have your 2 pence… I have a jar full of them which I’m hoping to spend at some point. All makes sense. 🙂 I’m definitely not suggesting these sorts of companies don’t look at the top of the range currently. A friend pointed me towards General Mills in the US recently — to gasp over, not to invest! Buffett’s purchase of Heinz seems to have given all these sorts of companies an extra leg up. Then again, he’s much smarter than me, so maybe they deserve it? Buffett bought Heinz because he’s looking about 100 years down the line. He wants something that will grow faster than US or global markets over very long periods of time… so he’s not bothered by current valuations. Like Coke. As long as you don’t pay stupid prices (like in the late 90s) then in the long run things will probably work out okay. I considered Reckitt Benckiser (RB) too a while ago. What I tend to do before I pull the trigger is stand back on an investment and take a look at the big picture. Would I really be interested in buying the products they make, forgetting all the accounting ratios? That was why I bought Apple in 2009 (and sold too early by the way but that’s another story) and avoided Research in Motion who make the Blackberry. So doing the same for RB, when I go to the supermarket I usually buy the own brand products these days, they are usually just as good and cheaper than those by Proctor and Gamble or RB. I started to trust Sainsbury and Tescos as much as anyone else, on most things except maybe meat in the Lasagna :-). This is acknowledged by the industry but the argument from RB has been that sales in emerging economies offsets this trend and I can understand this short term. Their sales seems to support this. However long term I can see people in India and China doing excatly the same thing as I do. So long term I would not buy RB shares. Hi Andrew, I know what you mean about the shift to own-brands, but I think it’s probably well over a decade away for companies like RB. I guess the answer would be to have a close look at how their developed market revenues and profits are holding up in the last decade. If they’re still expanding then the future may be bright for a while yet. Your approach is very Phil Fisher ‘skuttlebutt’. Not sure how I’d apply that to some of the Model Portfolio’s other holdings like AstraZeneca or ICAP! ‘Reckitts outlined the background to the purchase of Schiff Nutrition and the strong entry point the acquisition has given it to the high growth, but currently fragmented and unregulated, vitamins market,’ he said. I hold RB for the same reason I hold Diageo. It has a system to buy companies and regional brand and transform them in global brands. I like repetitive actions, as it gives more reassurance. Hi Eugen, I’m not saying RB is a bad company, it’s just the price that, relative to some alternatives, is getting stretched. As I said, if the price dropped it could easily be back in the Model Portfolio again later this year, but only if the price was significantly lower (and the dividend yield higher) than it is today. Alternatives? Hard to find them. In the last year I only added a few small caps to my portfolio and a couple of US stocks. The only cheap stock I was able to find last year was Japan Tobacco. It wasn’t my idea, I have been ‘tipped off’ by an investment manager for a Japan fund and so far it paid off nicely.